Dear WinkWorld Readers, remember this one is for the teachers in my class. Join us if you like. Class, in the past 3 weeks, we have focused on the BIG IDEAS of teaching and learning. We have talked about transmission, generative, and transformative perspectives, but we have learned that there are many, many ways of teaching and learning. At this point, we are moving towards you being able to tell your own story of your pedagogical practices. This is all a part of our planned syllabus. However, you keep generating bigger ideas, which are not on the syllabus. 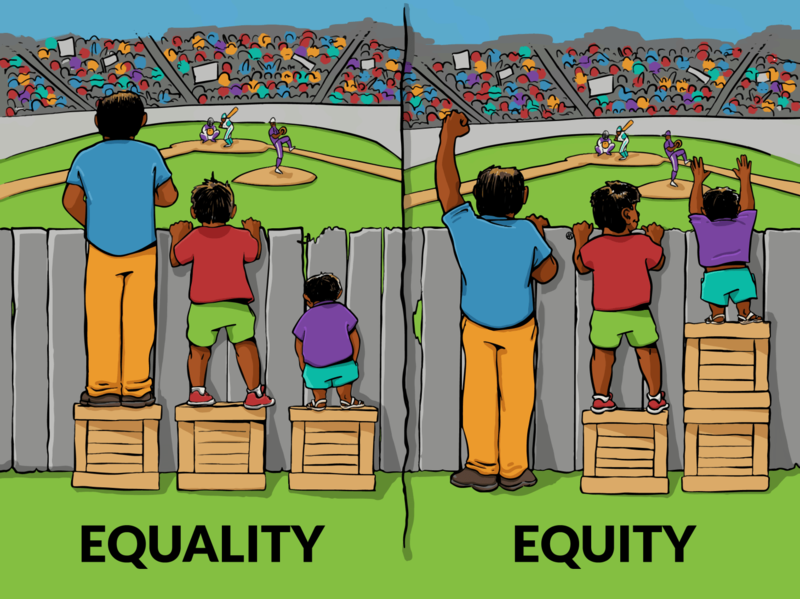 For example, the whole notion of equality and equity keeps creeping into your dialogue. Here is an imagine, which seems to periodically move across social media. This might help you understand a bit. In addition, we keep thinking about how the perspectives on teaching and learning ebb and flow across the decades. Teachers, for me, your most interesting dialogue occurred when I posted the following quote from Margaret Wheatley. Thank you for your reflective teaching and learning. Finally, the best question of the week came from Jill, who asked: What is literacy? Class, you can enjoy your colleagues’ sharing on D2L.